Steve has been editing for over 15 years, and has worked in the post production industry for over 20 years, starting as a runner at a sound design studio (The Tape Gallery) and quickly becoming a sound designer/ dubbing mixer. Working with some of the top advertising agencies including Saatchis AMVBBDO and BBH to name a few. After winning a D&ad silver award for sound design in 1996 for a Kiss FM commercial (Link Below) and working closely with creatives and directors he realized his true passion was in editing pictures. He trained at Avid Pinewood in 1998, shortly after joined an editing house, DGW as a junior editor. 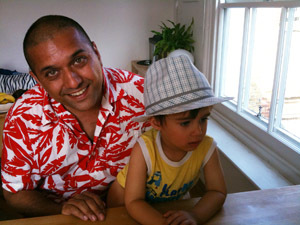 In 2000 he became in house editor at Tomato Films, in 2001 he started working in TV and became a freelancer. With a reputation for being fast as well as creative, He is an editor first but also a strong graphics designer with sound design experience. "I have an unique ability to find the perfect soundtrack to any visual and I strongly believe 50 percent of all TV and Film is sound"
Kiss FM "Music is Life" from kyan laslett obrien on Vimeo.